Real money gambling is off the table. Don Mattrick can talk bullish about Zynga's future if he chooses, but on paper there's not much to smile about. The Q2 financials indicate that, whatever those "bad habits" Mattrick talks about may be, they result in losses the like of which no company ever wants to see. A Q2 drop in revenue of 31% year-on year, with bookings down 38% year-on-year and a net loss of $16 million, would seem to be very little reason for Mattrick to lead off with "the next few years will be a time of phenomenal growth in our space and Zynga has incredible assets to take advantage of the market opportunity." That sounds more like a 'the end is nigh' moment, but then nobody's about to pay me a king's ransom to lead Zynga back from the cliff edge. And what a dizzying edge it seems to be; advertising revenue's down 33% when compared to the same period last year, and 25% of its daily user base - that's 13 million people - decided not to bother this quarter, and stopped playing Zynga's games. Those aren't numbers that make accountants smile; if nobody's there to make a microtransaction, or to watch an ad, Zynga's revenue base flat out doesn't exist. But if those accountants were hoping to get into real money gambling - a prospect Zynga has been flirting with for a while now - they're going to be disappointed, as Zynga has abandoned all its efforts in that direction, at least in the US. 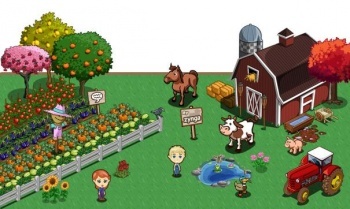 "While the Company continues to evaluate its real money gaming products in the United Kingdom test, Zynga is making the focused choice not to pursue a license for real money gaming in the United States," says Zynga. "Zynga will continue to evaluate all of its priorities against the growing market opportunity in free, social gaming, including social casino offerings." But then, this is all bad news from the pre-Mattrick era. It's possible the ex-Microsoft guru can make a difference. "Zynga does have talent, resources, and a real chance," thinks Gartner Research analyst Brian Blau, "but it first must refocus on its core capabilities, make the transition to mobile, and build out its platform before we start to see improvement in their bottom line." Mattrick clearly agrees with this assessment. "The market opportunity around us is growing at an incredible clip," he says, "It's also clear that today we are missing out on the platform growth that Apple, Google and Facebook are seeing." Now we just need to see whether or not Zynga's new boss can turn this situation around.